All of baseball is focused on a most precious 2 1/8 inches — the average length of the ulnar collateral ligament. This year, more than a dozen major league pitchers already have undergone Tommy John surgery — which involves replacing the elbow ligament with a tendon harvested from elsewhere (often the non-pitching elbow or forearm) in the patient's body. All-Stars Patrick Corbin, Josh Johnson and Matt Moore have had the surgery, and NL Rookie of the Year Jose Fernandez was scheduled to have his operation Friday. "It's a problem. There's no question about it," baseball Commissioner Bud Selig said. "I'm almost afraid to pick up the paper every day because there's some bad news." The surgery forces a player to miss at least a full season, but many power pitchers — including Chris Carpenter (2007), Stephen Strasburg (2010) and Adam Wainwright (2011) — threw as hard with their repaired elbows as they did before. Matt Harvey is still recovering from surgery last year. The league hopes it can find ways to protect these million dollar elbows before surgery is required. Dr. James Andrews, one of the world's top orthopedic physicians, will be meeting with a research committee Monday at Major League Baseball's headquarters. "We're going to put together a research project to help figure this out. We don't know quite what to say at this point," he said. "But, yeah, it's got everybody's attention." A 2013 survey showed 25 per cent of big league pitchers and 15 per cent of minor leaguer pitchers had undergone the procedure. "This does not include the guys who didn't make it back. These are the success stories," said Glenn Fleisig of the American Sports Medicine Institute, who conducted the survey with Stan Conte of the Dodgers. With the advent of high-tech scans such as MRIs, doctors usually can pinpoint exactly what's wrong. And with pro pitchers under the watch of radar guns whenever they throw, the slightest drop in velocity triggers scrutiny. But for more than a century, pitchers came up with "sore arms" and "dead arms," trying to pitch through pain. "Back then, you could be on your deathbed and you never told anybody because if you said, 'God, my arm hurts,' there were 15 guys waiting to take your place," Tommy John said. "So I kept my mouth shut and just kept pitching, kept pitching, kept pitching." 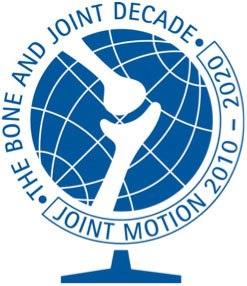 UCL reconstruction has increased 10-fold in the first decade of the 21st century, Andrews and Dr. Jeremy Bruce wrote in the May issue of the Journal of the American Academy of Orthopaedic Surgeons, citing a paper by J.R. Dugas. Experts think young pitchers throw far more often now than they did a decade or two ago. "Baseball, once considered a seasonal sport, has become a year-round event in some regions of the United States, with increased team travel play and sponsored tournaments," Andrews and Bruce wrote. An ASMI study published in 2011 examined 481 pitchers ages 9-14, and then checked with them 10 years later. Those who threw more than 100 innings in a year were 3.5 times more likely to need elbow or shoulder surgery or were forced to stop playing baseball. New York Mets medical director Dr. David Altchek says he's performing the procedure more often among teenagers, who are not as strong as professionals and are trying to impress with high velocities. "When you're throwing year-round, you don't have much time for all this fitness stuff," Altchek said. "So you're fitness gets sacrificed, Your arm is overloaded. That's a recipe for disaster." The USA Baseball Medical/Safety Advisory Committee recommends limits of 50 pitches per game and 2,000 pitches per year for 9- and 10-year-olds, and 75 pitches per game and 3,000 per year from 11-14. The limit rises to 90 at ages 15-16 and 105 for ages 17-18, with no more than two games a week. Looking back, Harvey said he ramped up his arm for events as a teenager. "At 16 how much strengthening or throwing are you really doing in between those tournaments before you have to go blow it out again?" he said. Dr. Gary Green, MLB's medical director, said the sport has been collecting data on injuries and lengths of layoffs in both the major and minor leagues since 2010. However, innings and pitch counts as amateurs aren't tracked. Dr. Bert Mandelbaum, MLB's director of research, is heading the probe. "We're looking at it in terms of the demographics: Can we predict who is going to get this injury? Is there something in their training? Is there something in their biomechanics?" Green said. Fleisig concluded "how much you pitch and how hard you throw are the dominant factors." After Dr. Frank Jobe's pioneering operation on John in 1974, there were no more than four similar operations annually until a spike to 12 in 1996, according to research by Jon Roegele, who writes for the Hardball Times and Beyond the Box Score. The figure rose to 43 by 2003 and 69 in 2012 before dropping to 49 last year. Tom House, the former big league pitcher and pitching coach, has advocated strengthening muscles in the kinetic chain involved in throwing. John thinks the opposite approach should be taken. "These guys today, they spend more time in the weight room than they do on the mound. Strengths and weights are fine, but if that was everything, then Arnold Schwarzenegger would be a 20-game winner," John said. "They just get so big and strong that there's very little elasticity in their arms." AP Sports Writers Mike Fitzpatrick, Jon Krawczynski and Paul Newberry contributed to this report.